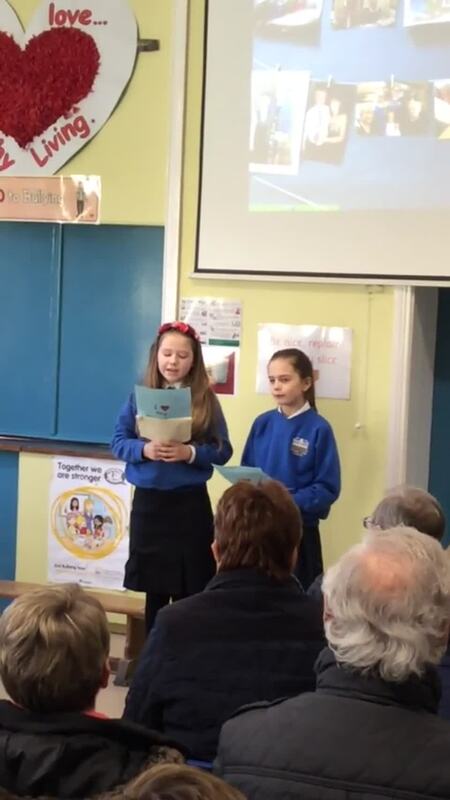 On 2nd February 2018, we held our annual Grandparent's Assembly. It was wonderful to see such a great turnout of grandparents and parents supporting our pupils and the school. Each class took it in turns to entertain their grandparents. We had some beautiful pictures of grandparents painted by P1 and P2. They even told us some very interesting things about their grannies and granddads. After that, led by Miss Donnelly, the P1 and P2 class sang two lovely songs. In P3 and P4, they worked hard to prepare two wonderful poems about grandparents. The acrostic poem was really great. 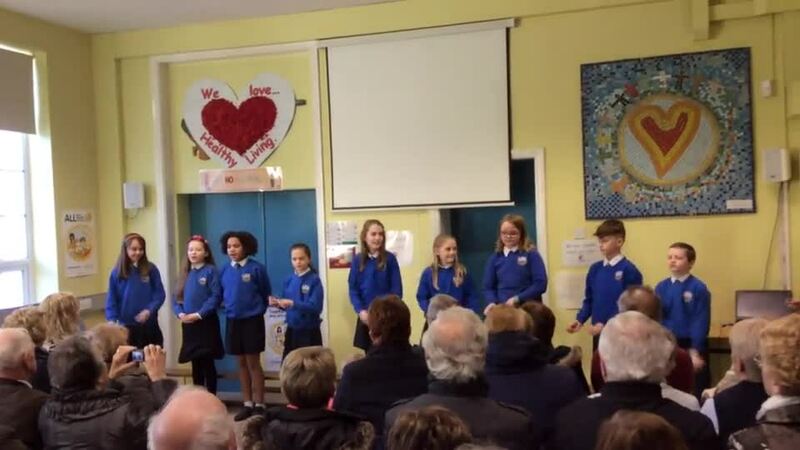 They finished off by singing a very beautiful song to their grandparents. P5 and P6 prepared a Grandparent's Survival Kit. From sweets to aspirin, I think this kit is an essential for any grandparent. Finally, P7 wrote some stories about their grandparents, remembering their favourite times they spent with them. P7 worked extremely hard on the stories and this really showed with the laughter and tears from all at the assembly. The assembly rounded off with P7 performing a 'One Direction' song which was dedicated to all the wonderful grannies and granddads out there!